The Tate Britain is a famous art gallery located in Millbank, London, England. The Tate Britain is one of the art galleries in the Tate network (along with the Tate Liverpool, the Tate Modern, and the Tate St. Ives). 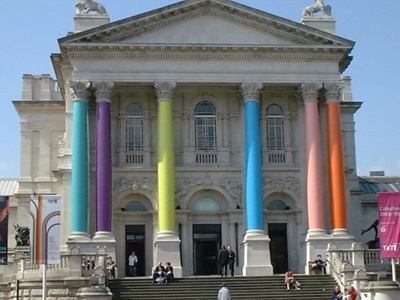 The Tate Britain focuses on, and is home to, a permanent collection including historic and contemporary art.